Since the trend right now is TBT (Throw Back Thursday), I thought I would take a trip down memory lane. 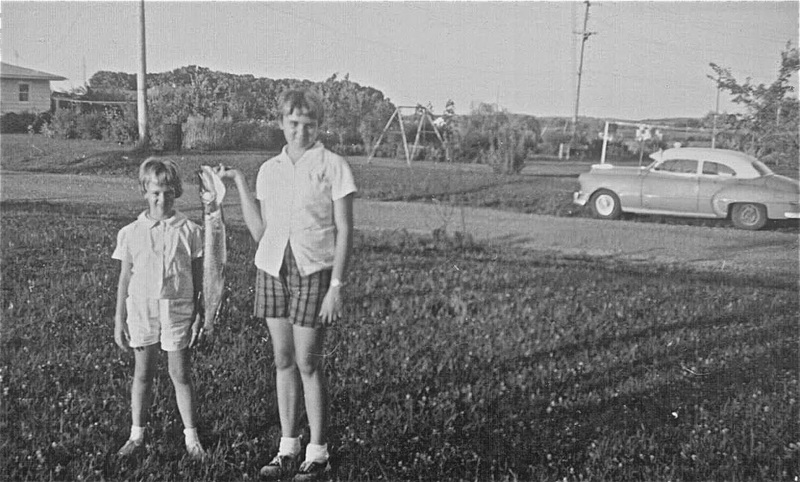 In 1957 I moved to Stoughton, Wisconsin with my family. 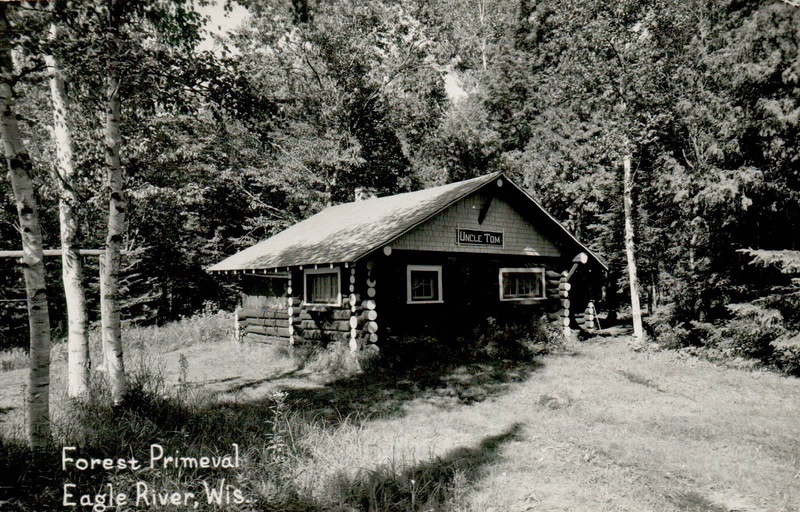 My dad was transferred there with his company from Black River Falls, Wisconsin. Back then the company was called Nelson Muffler Company. I was in fourth grade at West Side school. It was a little bit traumatic for me. We had moved a few times during my young years, and I wasn't looking forward to adjusting again. First of all, Stoughton 4th graders had already mastered their nines in multiplication. I hadn't gotten that far. These days I think they do multiplication in first grade. The most traumatic experience of all was Syttende Mai. No one in my family had heard of such a celebration. Stoughton is a community with a lot of Norwegian descendants. They celebrate the day Norway declared its independence. Syttende Mai means 17th of May. We moved in February so I was thrust into training for the big celebration. My mom had to come up with a costume, and I had to do a Norwegian dance with my class. I had to dance with strangers. I survived and my outfit was acceptable. The following years in Stoughton were good, and we became used to our new town. We lived across the street from some wonderful people. My parents became very good friends with them. They owned a resort on Lost Lake near St. Germain/Eagle River, Wisconsin. The wife and children would spend the summer running this resort and the husband would come up every weekend after work. We began going there for our summer vacation every year. We made some wonderful memories. We fished, we played softball, we rode horses and played in the water. One of the rustic cabins. I think they had twenty cabins to rent out. Every morning we would travel to the other side of the lake to play softball with another resort. All ages and all abilities were welcome. Across from the ball diamond was a horse stable. We rode horses a few times. 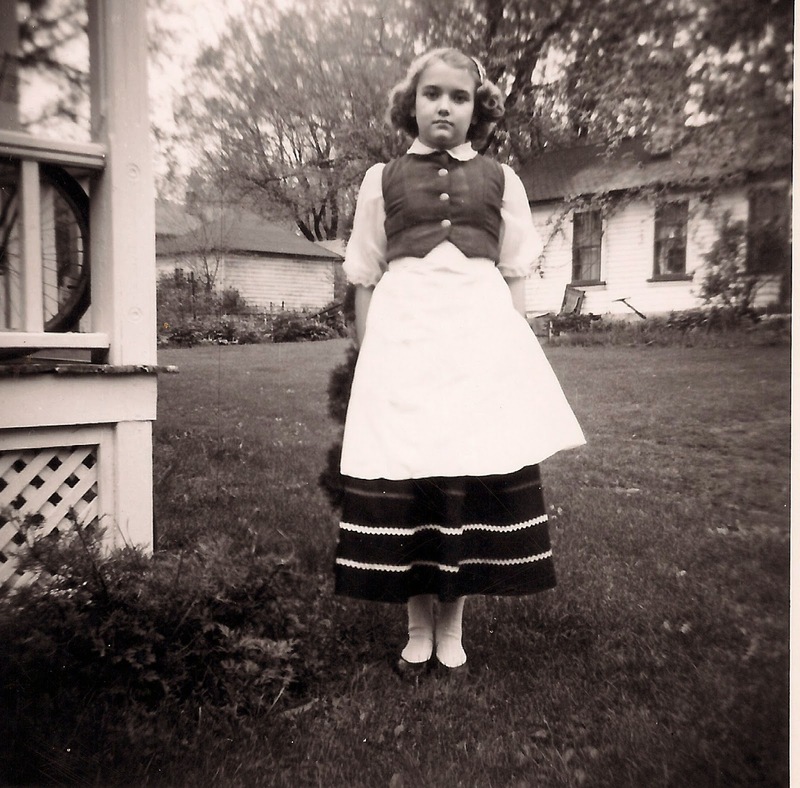 It was different back then and there were no digital cameras. Very few pictures were taken. 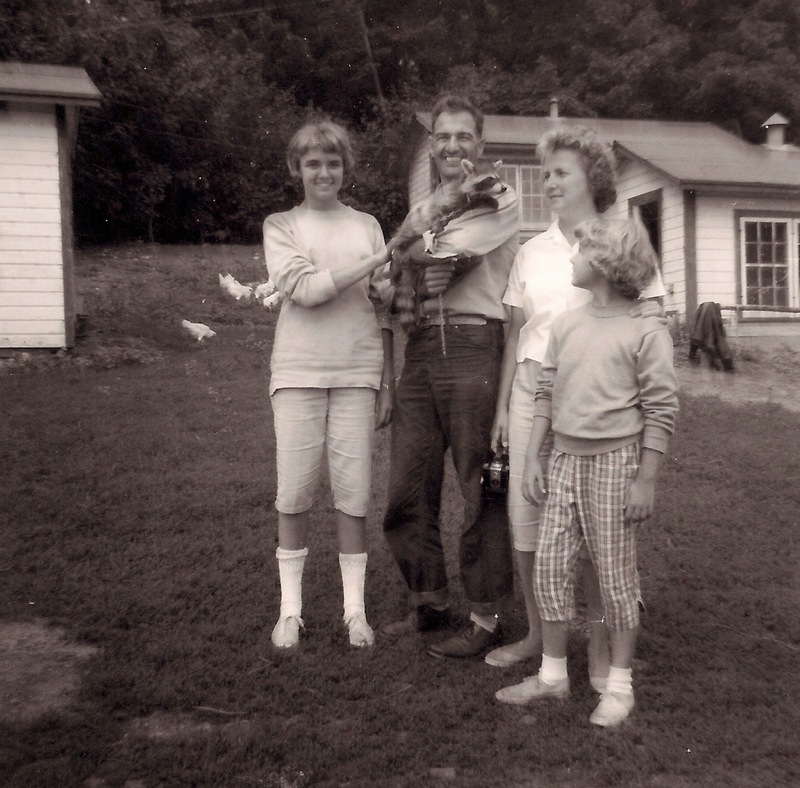 I found this one of the family holding a pet raccoon they had at the horse stable. Oh look at the fancy white socks. 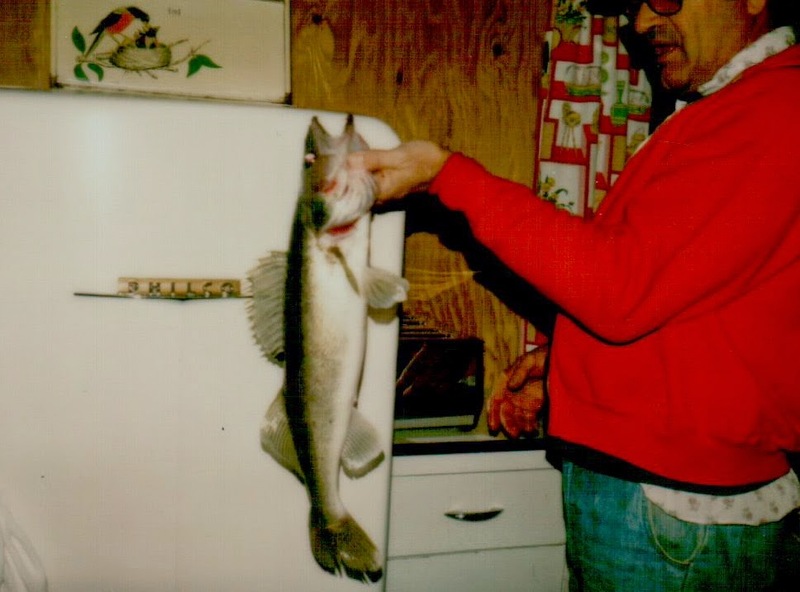 We didn't have a lot of money for vacations so during that week (sometimes two weeks) we ate a lot of fish that we caught. I remember late at night mom would be frying fish and potatoes. I can still bait a hook, clean a fish and row a boat to this day. One time I caught a 24 inch Northern Pike on a cane pole. It broke the pole so I reached in and landed the fish anyway. I never liked eating those fish because of all the bones. 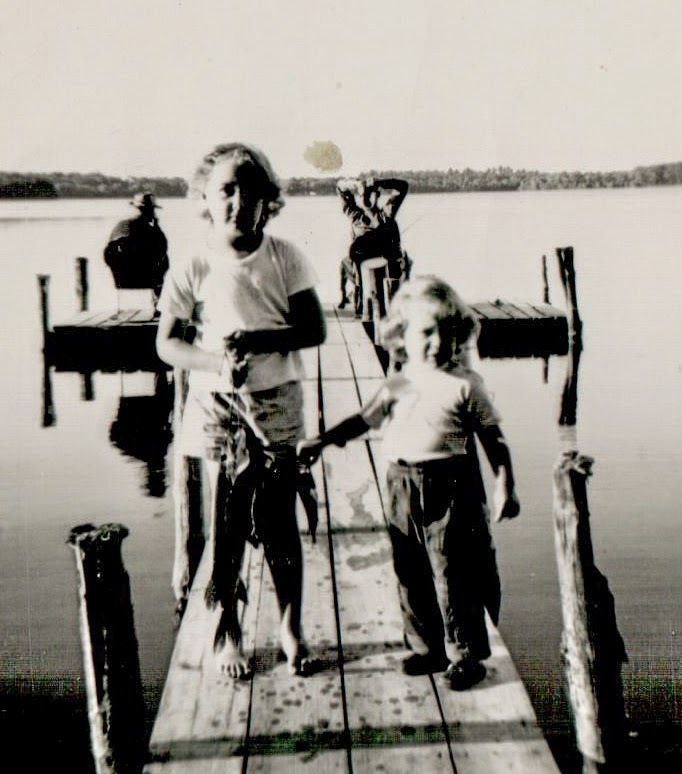 We don't fish and my daughters have no idea how to catch a fish, but it is one of my wonderful childhood memories. The last picture I am posting is of me and my sister. It was taken much earlier than our St. Germain vacations. I just thought it was so cute, I had to include it. I guess most of our vacations included lakes and fishing. Maybe that is why I ended up living in a log cabin and enjoying nature everyday.